Give As You Earn (GAYE) is a scheme that enables employees to donate to any UK charity straight from their gross salary (before tax is deducted) meaning that you receive immediate tax relief. Offering Match Giving is a powerful and popular way of encouraging employees to sign up to Payroll Giving. Your company can make donations that match the contributions of your staff – potentially doubling the money that will help train more assistance dogs for people with disabilities nationwide. The tax relief you get depends on the rate of tax you pay but, as an example, if you are a lower rate taxpayer and you donate 80 pence, the Charity will receive £1. Your company may agree to double this, if they have a match funding policy. Or your company may offer other incentives, for example, they may give a one-off gift to an employee’s chosen charity. Check if your employer runs a payroll giving scheme at Charities Aid Foundation (CAF). If they are not already signed up, you can nominate your employer on the CAF website and it will do all the talking for you, approaching your firm with details of the scheme. 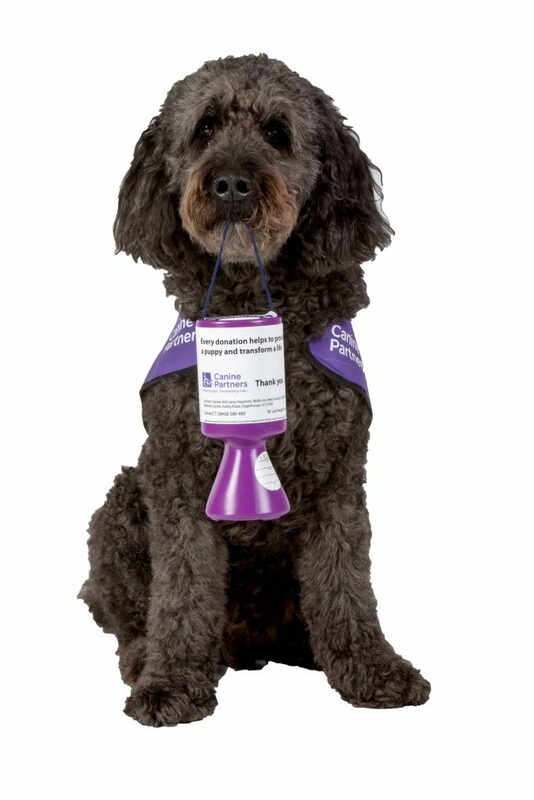 Canine Partners is very grateful to all those individuals who donate regularly through their payroll, and to the companies which have signed up to a payroll giving scheme. Knowing that we have regular donations coming in through Give As You Earn (GAYE) gives us a better idea of future income, and means we can plan our activities longer term. Joining in a GAYE scheme costs the company nothing. It is an extremely simple and cost-effective way to engage with staff and boost your company’s ethical credentials. There are several organisations which facilitate GAYE. One of the largest of these is CAF. If your boss needs convincing, point out that it is an extremely simple and cost-effective way to engage with staff and boost the firm’s ethical credentials. If enough of your staff members join, your company can even get a Payroll Giving Quality Mark to let the world know what a caring corporation you are. For more information about signing up for GAYE visit GOV.uk. Alternatively, you can receive further advice from the organisation Sharing the Caring.